As we watch the US growing acceptance of overt racism and Anti-Semitism, we will do our part in publicizing that which warrants special reporting. That said, we note the many cases of reported abuse base din race, culture and religion are not reported on The Progressive Influence. The image to the right-hand above is yet another example of young racist making life uncomfortable for a fellow black student at Drake University in Iowa. The details are embedded below. And then there is this. Les leave Iowa and travel to Mississippi. As we move away from the midterm election and various state elections. take look at two candidates for office in Mississippi. It is important to note Mississippi has its election on November 27th. From Mississippi to the Great State of Wisconsin. Wisconsin High School Students prom photo was taken in early 2018. If you are wondering about the veracity of the photoshoot, Snopes has a fact-check. For the full story via Snopes hit this link. 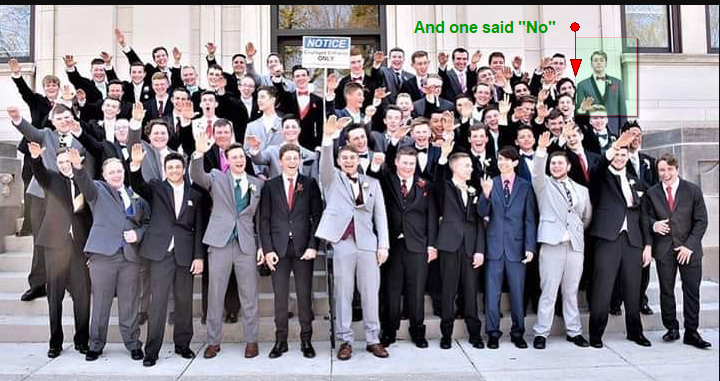 It seems one didn't join the Nazi Salute. Alas, history has repeated itself yet again. 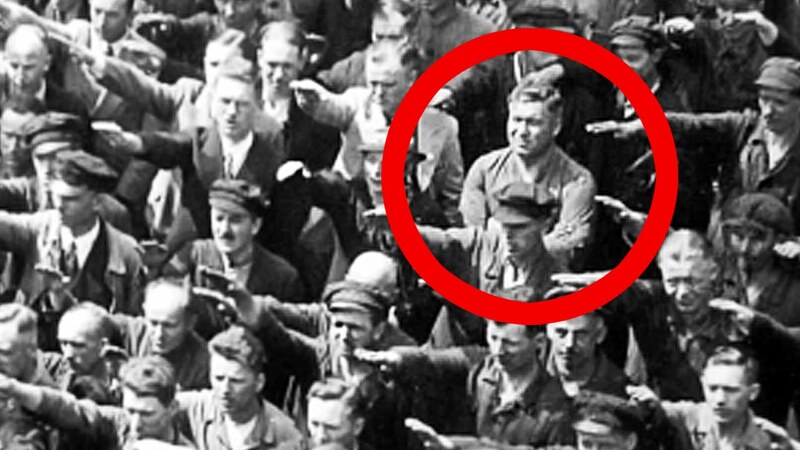 August Landmeseer in Nazi Germany also stood outside of the herd. Where does it all lead? Where does it lead when national leaders not only refuse to speak out against such acts, it ends at a bad pace when leadership seems to embrace growing US racism. And the FBI says........linked, here.